Brexit: Time for a moratorium? The UK is set to leave the EU in March next year, but many of the key issues remain unresolved and there is now perceived to be a very real prospect of the country leaving without a deal in place. For Helmut K Anheier, the answer is not a second referendum given another vote would do little to resolve the division that currently exists in the UK over Brexit. Rather, he proposes a moratorium on Brexit, lasting up to five years, which would allow both the UK and the EU to fully get to grips with the process. “Ungovernability” is a term not usually synonymous with the well-oiled administrative machinery of the UK state. In governance capacity rankings, it is usually among the world’s top ten, alongside Sweden, the Netherlands, Germany, Switzerland and Australia. 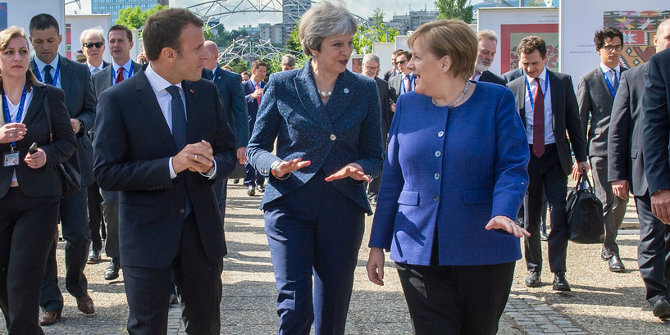 But with a mere eight months to go before Brexit, the colossal task of rolling back 45 years of European integration, building new partnerships still both contested and unclear, and the attendant political uncertainty are straining capacities at Whitehall. The recent turmoil of resignations over the Prime Minister’s soft-Brexit “Chequers” deal is just the latest symptom, and the growing battle about the government´s White Paper another. Popularised by social scientists like Samuel Huntington and Jürgen Habermas to describe over-stretched welfare states, ungovernability happens when institutions invite problems that become impossible to process in an orderly and routinised way. This self-generated demand overload is precisely the plight arising from current Brexit negotiations. In essence, the UK has a divided public, divided parties, a divided government, and a civil service unsure of what to do before and after March. A political stalemate looms, with all the added unpredictability and implied injustices, such as the disproportionate influence of Northern Ireland’s pro-Brexit DUP in Theresa May’s government, which shows little regard for the country’s “remain” vote. A population highly affected by Brexit is thus disenfranchised, while continued peace in Northern Ireland depends on how the Irish border problem is solved or at least managed. In another twist, the only incentive for many senior members of the government to support the Chequers agreement and the White Paper is the fear of a Labour Prime Minister, Jeremy Corbyn. Not being able to win is now preferable to losing. But why should the Commission care? The UK asked to leave, now faces a political mess, and is in denial about its prospects. Of course, this is a simplistic view, but the EU’s negotiating position is nonetheless correct: no country can leave the Union and end up better off outside than in. No country can cherry-pick and cut bilateral deals while still a member. At the same time, the EU should have a keen interest in mitigating the damage for all. How can we handle such emotional responses amid growing nationalism and a persistent and deepening problem of ungovernability? In Britain, no major political reform effort other than Brexit has been undertaken for several years. Domestic politics are flagging and austerity measures continue – yet was it not the promise of more domestic spending that convinced many to vote “leave”? The country is entirely occupied, even paralysed, by Brexit, and has become increasingly self-centred. The danger is not that the UK and the EU will become strangers; more likely, they will become more like neighbours who misunderstand each other the more the gap between them widens. A moratorium is one way forward, assuming the current UK government holds. If Brexit happens, let´s get it right. The EU should offer the UK a moratorium of up to five years, during which it will remain a member with full rights and obligations. The advantages are many. For one, it will span two UK governments, two EU Commissions, and two European Parliaments. This will bolster the legitimacy of the 2016 referendum, the process and the outcome. It will give businesses at least a medium-term perspective and allow for wiser investment decisions. It will give the millions of UK citizens living in mainland Europe and the millions of Europeans living in the UK the stability they need. And it will give the administrators and legal experts in Whitehall and Brussels the room they need to separate from each other in an orderly and routinised way. It would also create an opportunity for honesty. The honesty to tell the British people, for example, that the promised funds for the NHS will never come, to help them understand that old-fashioned sovereignty comes at a price and requires sacrifice – economically, politically, culturally. They need time to prepare for a world that is not waiting for a “Global Britain,” and to understand that illiberal regimes and autocracies are all too eager to take advantage of a relatively isolated country. Of course, many will question such a proposal. Hard Brexiteers will see it as way to undo Brexit by stealth – yet no majority in government and parliament backs them anyway. Soft Brexiteers will view the moratorium with suspicion on the same grounds but should soon realise the advantages a well-prepared Brexit could hold. The Commission may balk at dragging the process out even longer, given its many other pressures, but should welcome a more depoliticised process and more measured pace. Helmut K. Anheier is a Professor of Sociology and President of the Hertie School of Governance, and a Visiting Professor at LSE IDEAS. The answer is simple. Brexit is impossible to deliver. Europe has zero interest in making it happen because once one country goes the whole system will fall apart. They have and will continue to make it as difficult as they can. Let’s recognise the reality and take the only course that is achievable. If all the MP’s who voted remain formed a new party they could put an end to this madness in a week. It just take leadership and clarity of vision. No second referendum. Make a decision and move on. The Conservative party is finished anyway. It’s torn itself apart. It’s time for a realignment of politics. I cannot imagine that a 5 year moratorium can solve anything, because live without EU membership will not have been experienced. The EU27 is offering quite a pallet of possibilities for the UK, such as the model existing with Norway or Switzerland or Canada or China. A 5 year – Norway option would be better than a moratorium. The UK has enjoyed very special treatment (7 major opt-outs for Schengen, EMU, Euro, Social Chapter, Charter of Fundamental Rights, Judicial Cooperation, rebate on membership).